Send some more songs using JalTarang. Last but not the least I loved the design of your blog. Its amazing simple and elegant. The introduction of Jaltarang superb. Iam very interesting about this instrument how much cost of this instrument and where available. Please creed the details sir. I would like to know if any artist could perform jaltarang at some religoius gathering. REGARDS. I DONT KNOW WHERE DID YOU GET THE INSPIRATION FROM! GOD WILL BLESS YOU FOR YOUR MISSION OF QUENCHING THE THIRSE OF SO MANY PERSONS. WISH YOU ALL PEACE AND PROSPERITY. THANK GOD….MY PARANTS AND THE MODERATOR AND TEAM OF THIS WEB SITE…GREAT SALUTE TO THE PLAYERS OF THIS AND ALL OTHER WONDERFUL INSTRUMENTS LIKE SHEHNAI,SITAR,SANTOOR,SAROD,SARANGI.MOHAN VINA AND SO ON…. .I FEEL EXTREAMLY LUCKY TO ATTEND LIVE CONCERTS AND LISTEN THIS INSTRUMENTAL MUSIC….I REALLY WANTED MY SELF TO LEARN AND PLAY BUT UNFORTUNETLY COULDNOT ABLE TO DO.HOW EVER I ONCE AGAIN SALUTE TO ALL MESTROS ,PANDITJIS ,USTADJIS AND TEAMMATES……MY HUMBLE PRANAM , NAMASTE TO ALL OF THEM FROM BOTTEM OF MY HEART..I KINDLY REQUEST AND I WISH TO HEAR RAGA BASANT,BAHAR….ON THIS ONE OF WONDERFUL INSTRUMENT “JALTARANG”……..PLS.KEEP POSTING IF POSSIBLE. ONCE AGAIN THANK YOU VERY MUCH….KIND REGARDS. Playing jataranga in Swaramandal style is JALAMANDAL. It will have a very melodious sanntooric pleasent sound with gayaki style, continuity and staying on one swara and fast layakari guts. hi my self anant bhatt and i am persuing musical corse from bhatkhande music colleg . 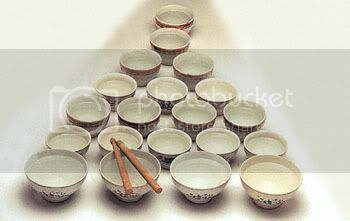 i like jal tarang very much. good collectionof jaltarang. Pl. 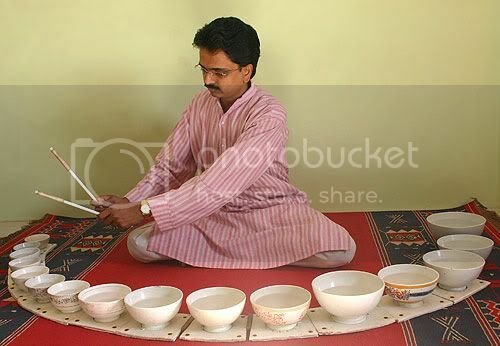 load jaltarang played by Jain Kumar Jain, a famous old time jaltarang player and of some old timers. Thanks a lot . Continue for us ols listerners. very beautiful. i am in love with this instrument . I am looking for some one who can play Jal Tarang in our 7 star Hotel Renaissance Mumbai, If any one intrested please call me on 09987649093…we will pay you on hourly basis. Ustad Taufiq Qureshi, Pandit Ramdas Palsule & Milind Tulankar.